Hey, there wouldn't be any Godzilla without Godzilla movies, now would there? Below is a list of all of the Japanese Godzilla movies from the original to the latest one (so far). My rating system is "Rodans." (see the pic, and what number of Rodans mean below the paragraph) I don't judge the movies, except for the newest Godzilla movies, by special effects, or dubbing, unless it is extremely horrible. I'm not going to include a review of Godzilla '98, because it's not the real Godzilla, and you've heard enough reviews about it already. And please, don't take my reviews for granted. Just because I have a website doesn't mean that I'm the god of Godzilla here. We've all got different interests, and I might like a Godzilla movie that you won't, and vise verse. Just think of your own tastes and not mine. 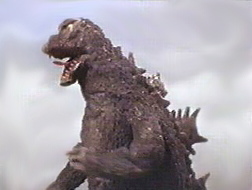 Also, if I happen to make fun of a Godzilla movie you like, please don't take it too seriously. They're just jokes, I'm not harassing the movie. 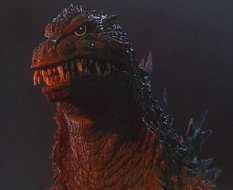 Oh yes, and to let all of you Godzilla fans know: I never met a Godzilla movie I didn't like.